Last week, the Federal Housing Administration took steps to mitigate risks to its single-family portfolio, announcing updates to its TOTAL Mortgage Scorecard that may flag some loans for manual underwriting. The change applies to all loans with case numbers assigned on or after March 18th, meaning that it is likely to affect some of the loans currently sitting in an FHA lender’s pipeline. Chatter among members of the lending community suggests a number of originators are unhappy about the changes, fearing that the end result may be that some of their borrowers will be shut out of FHA financing. Some said the FHA did not go about implementing the changes the right way, creating confusion about how the risk is being mitigated, while others said they felt as if the rug had been pulled out from under them, and fear that borrowers who no longer qualify will be angry, according to email exchanges between lenders and mortgage brokers, shared with HousingWire. For its part, the FHA said it is taking necessary steps to address some of the risk trends apparent in its single-family portfolio and flagged as concerning in its 2018 Report to Congress. Specifically, FHA loans have seen a substantial increase in cash-out refinances, a drop in the average borrower credit score, and an increase in borrowers with high debt-to-income ratios. In its letter about the Scorecard updates, the FHA said that the number of FHA refinances that are cash-outs increased 60% in 2018, and that almost a quarter of all FHA loans in 2018 had a DTI ratio above 50%. The average credit scores for FHA borrowers has also declined, falling to 670 in 2018 – the lowest average since 2008. Combined, these factors are signaling untenable risk for the agency as they flag the potential for the program to drain the Mutual Mortgage Insurance Fund. “Federal Housing Commissioner Montgomery has publicly stated numerous times in recent months that FHA must seek the right balance between managing risk and fulfilling its mission of supporting sustainable home-ownership,” the FHA said in its letter. The agency said the updates to its Scorecard are just the first step it will be taking to address these risk factors. “FHA will carefully monitor the impact of this change and is preparing to implement additional changes to maintain a better balance of managing risk and fulfilling its mission,” the agency stated. Wells Fargo cheered by Realogy, Home Depot leaders for loosening up on FHA loans | Inman News. via Wells Fargo cheered by Realogy, Home Depot leaders for loosening up on FHA loans | Inman News. Kentucky FHA loans have new guidelines for collections, judgements, and disputed accounts on credit report. $2000, then no further consideration is required. payment or use 5% of the outstanding balance. property state are included in the cumulative balance. generally not acceptable unless the following documentation is obtained. borrower’s debt-to-income ratio for qualifying. require the loan to be manually downgraded to “refer” status. is also a lien against the borrower and/or the subject property. does not approve loans that require manual underwriting. police reports, letters from the creditor, etc. borrower must be used for a purpose authorized by the borrower. which the authorization is provided. settlement charges or to the new escrow account. 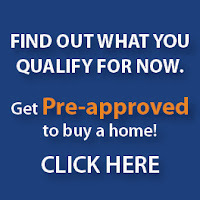 A link to the FHA mortgagee letters is provided here > Mortgagee Letters. FICO 620-639 will be allowed as long as the borrower has an Approve through DU . Manually underwritten loans will still be capped at a minimum FICO of 640. Households with net family assets of greater than $5,000 require that the actual income derived from all net family assets or a percentage of the value of such assets based on the current passbook savings rate be considered when calculating income. The Latest Guidelines on Waiting Periods – Valley Business Journal. It might be interesting to update everyone on the latest guidelines on required waiting periods after a Bankruptcy, Foreclosure or Short Sale. The rules seem to change fairly often and, of course, may vary greatly with lenders and mortgage investors. For conventional financing, basic guidelines at this time show a waiting period of four years after a Chapter 7 or 11 Bankruptcy, two years with extenuating circumstances; after a Chapter 13 Bankruptcy, it would be two years from the Discharge date, four from Dismissal date (two from Dismissal with justifying circumstances). A Foreclosure on your record would mandate a seven-year waiting period, three with extenuating circumstances but with additional restrictions as to the maximum loan-to-value allowed and occupancy of the property. A Short Sale or Deed-in-Lieu on a person’s credit requires a waiting period of at least two years for an 80% loan-to-value and four for 90%, two with mitigating circumstances can be possible up to 90%. FHA and VA requirements may be considerably different. For example, if a person had a Chapter 7 Bankruptcy, the usual waiting period would be two years for FHA, but under some circumstances it could be moved down to just one, not with VA though. Many factors must be clearly illustrated, including either no new debt since discharge or re-establishment and maintenance of good credit plus a demonstrated ability to manage one’s financial obligations. A new purchase after a Chapter 13 Bankruptcy (where debts are being paid over time) has different guidelines also, primarily being that the Bankruptcy has been in a payout period for at least one year, with satisfactory performance and Court approval. Foreclosures and short sales generally mandate three years with FHA, two with VA. These are some of the lending policies, but of course a person must also qualify for the new loan – income, stability of same, debt ratios and credit scores are critical. We must measure that with the basic question of whether a person is ready to purchase again and take on ownership responsibilities. Working with an experienced, professional mortgage advisor should be very helpful if you find yourself in this kind of situation. The snag would come in the underwriting portion of the mortgage application process. “The IRS office won’t be able to provide the forms to prove income, deal with tax lien information, and the like. Because those documents aren’t available, those loans will be stuck until further notice,’’ Herrera said. It’s in the intake — the starting of the files — where a backlog could occur, he said. With the housing recovery in the Inland region still viewed as fragile, any slow-down in sales has a trickle-down effect on the economy. National Association of Realtors chief economist Lawrence Yun recently pinned the August slow-down in pending home sales — contract signings eased 1.6 percent — on tight inventory conditions, higher interest rates, rising prices and restrictive mortgage credit. For the three month quarter ended June 2013, nearly 20 percent of the 8,758 mortgage transactions reported to the Inland Valleys Association of Realtors were FHA-insured. Conventional loans insured by Freddie Mac and Fannie Mae accounted for 34 percent of the transactions; Veterans Administration-backed mortgage applications represented 4 percent of the loan business, Herrera said. Donavon Ternes, president and chief operating officer of Provident Savings Bank, agreed the FHA-furloughs could end up harming – or bogging down — the number of refinance transactions or purchase money transactions looking for FHA-insurance on the loan. 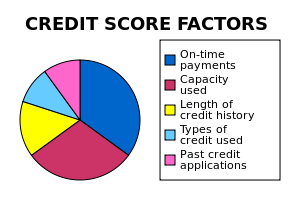 Today, credit scores plays a big role in determining whether or not your mortgage loan is approved and at what interest rate. Obtaining a mortgage loan at an interest rate just one point less results in a savings of about $5,000 on the average 15 year mortgage, and significantly more on a 30 year mortgage (about $50,000). As the above table illustrates, those with credit scores below 630 are not a very good risk, so they will obtain a mortgage at a significantly higher interest rate and this will add anywhere from $50 to about $250 to their monthy mortgage payment and add thousands to the price of the home. If your score is 660 or above, you can get a mortgage loan fairly easily since you are a pretty good risk. As stated above, the higher your score the lower your interest rate, so your goal shouldn’t be to obtain a credit score of 660; it should be to achieve a credit score of at least 700. Some lenders will reward you if your credit score is higher than 725, by lowering your interest rate by about 1/4th of a percent. If it is between 700 and 724, it will be lowered by 1/8th of a percent. Does an interest point or two make such a big difference in the price of the house? You bet it does! It means saving thousands in finance charges and a lower monthly payment. For example, paying an interest rate just two points higher means paying an additional $200 each month on your house payment on the typical $150,000, 30-year mortgage loan. That’s at least $72,000 more you’re going to pay for your house! For a Kentucky FHA Purchase Loan, we can go down to a 620 credit score with the minimum down payment of 3.5%. No bankruptcies or foreclosures in the last 2 years.